Shoba Ranganathan holds a Chair in Bioinformatics at Macquarie University since 2004. She has held research and academic positions in India, USA, Singapore, and Australia as well as a consultancy in industry. 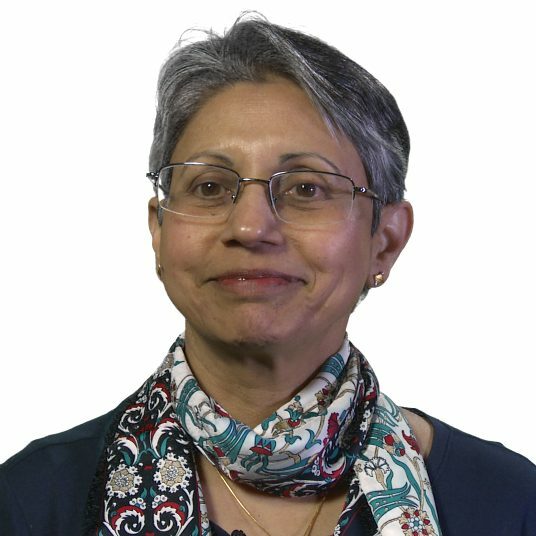 Shoba’s research addresses several key areas of bioinformatics to understand biological systems using computational approaches. Her group has achieved both experience and expertise in different aspects of computational biology, ranging from metabolites and small molecules to biochemical networks, pathway analysis, and computational systems biology. She has authored as well as edited several books as well as contributed several articles to Springer’s Encyclopedia of Systems Biology. She is currently the Editor-in-Chief of Elsevier’s Encyclopedia of Bioinformatics and Computational Biology as well as the Bioinformatics Section Editor for Elsevier’s Reference Module in Life Sciences. Sowmya G, Khan JM, Anand S, Ahn SB, Baker MS, Ranganathan S (2014) A site for direct integrin αvβ6•uPAR interaction from structural modelling and docking. J Struct Biol, 185, 327-335.